This review has been printed in the June 2018 issue of Chess Life. A penultimate (and unedited) version of the review is reproduced here. Minor differences may exist between this and the printed version. My thanks to the good folks at Chess Life for allowing me to do so. Ramesh, R.B. Fundamental Chess: Logical Decision Making. Los Angeles: Metropolitan Chess, 2017. ISBN 978-0985628161. PB 288pp. Since winning the World Junior Championship in 1987 and becoming the first Indian Grandmaster in 1988, Viswanathan Anand has almost single-handedly defined chess in India. His rise to the World Championship was eagerly followed by his countrymen, chess fans and lay-people alike, and his 2013 match in Chennai was, despite Anand’s loss to Magnus Carlsen, a huge boon to Indian chess. Anand’s example served as an inspiration for an entire generation of Indian chess players, including Grandmaster Ramachandran Ramesh – “R.B. Ramesh” as he is widely known – who served as a commentator for the 2013 match. He was the first Indian to win the British Open Championship in 2002, earning his Grandmaster title a year later. In 2014 Ramesh captained an Indian Olympiad team that won its first medal (bronze, open section) in that nation’s history, and he currently coaches the Indian U16 and Olympiad teams. Having retired from active competition in 2008, today Ramesh is one of India’s leading chess trainers. Among his students are R. Praggnanandha, the youngest International Master in history at 12 years old, and the 18 year old Grandmaster Aravindh Chithambaram. He has also launched an online chess academy at chessgurukul.com and at nurtr.com, with the ultimate aim of offering chess training to all comers, regardless of ability to pay. If Anand is responsible for the current popularity of chess in India, it will be trainers like Ramesh who will shape its future. Now Ramesh has written a fine new book, Fundamental Chess: Logical Decision Making, published by Metropolitan Chess Publishing out of Los Angeles. As its title suggests, the book offers readers a thoughtful, didactic account of over-the-board decision making. I enjoyed it immensely. Chess training, on Ramesh’s telling, is designed to teach us to use all of the tools available to us in the decision making process. His emphasis is practical – after all, as he notes, “knowing is NOT doing!” (25) – and in this, he echoes the philosophy of Mark Dvoretsky, whom he mentions in the Introduction (6-7) as an important influence on his teaching and playing. Ramesh cites a rather famous game between Carlsen and Aronian from the Bilbao Grand Prix in 2008 to begin to unpack his point. How did Carlsen decide to play such a move? There are, I think, some terminological difficulties in Ramesh’s account, but he seems to argue something along these lines. Neither brute calculation nor intuition – defined as “the output of our knowledge, experience, and confidence at that point in time” (16) – alone could have guided Carlsen’s choice. Both are required to accurate assess a nebulous concept like compensation, and particularly in such a complex position. Fundamental Chess: Logical Decision Making is clearly constructed with this goal in mind. In Part I (“Logical Reasoning”) Ramesh tries to unpack the nature of our thought processes, and Chapter Two, entitled “The Problem of Choices,” is perhaps the core of the book. We are faced with the necessity of choosing between multiple reasonable moves in most non-critical positions, and most of us, I suspect, would admit that this can be the source of no small angst over the board! Ramesh offers general advice for such situations: we use a ‘scanning technique’ to make a broad list of possible moves, which we prune by process of elimination. We analyze forcing continuations to see if any tactics exist, and we try to remain practical in our decision-making. Ultimately, as he puts it, “[c]ontradictory principles occur all over the board… We need to choose the principle appropriate to the position at hand in order to find the best move or a decent plan.” (68) To me this sounds like an argument for training intuition in a more traditional sense. 1. Same colored bishops for both sides: Only the bishops should focus on their colors. All the other pieces should play on opposite colors. For example: if both sides have dark colored bishops, we should put all our other pieces on light squares. 2. Two bishops versus bishop and knight: The side with the two bishops should play on the colors where the opponent does not have a bishop. The side with the bishop and knight should play on the color of the bishop. 3. Opposite colored bishops: Both sides should play on the colors of their bishops. 4. One bishop versus one knight: The side with the knight should play on the opposite color of the opponent’s bishop. The side with the bishop should utilize his other pieces on the opposite color of the bishop. 14. …Nc4 Both sides have dark-squared bishops, so they should try to put their other pieces on light squares. 15.Qe2 b5 White at some point could kick the c4-knight with b2-b3, so Black aims to put his pawn on a4 to stabilize the c4-square for his knight. Moreover, if Black castles on the kingside, where he does not have as many defenders, it is possible that White could launch a direct attack with f2-f4, g2-g4 and f4-f5. Hence Black wants to secure adequate counterplay on the queenside before he makes the decision to castle short. 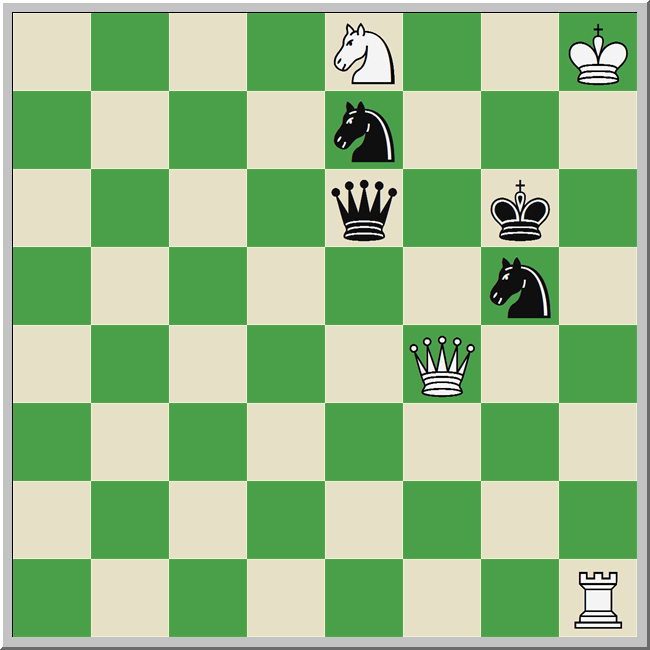 If things get too hot on the kingside, then he could consider keeping his king in the center or even sending it to the queenside if necessary. 16.axb5 cxb5 17.f4 Qb6 18.Nd2 If White tried to launch an attack immediately with 18.g4 then Black would have adequate resources: 18. …a4 19.Nd2 Qc6 20.f5 gxf5 21.gxf5 exf5 and Black is much better … [note that] 22.Rxf5 is impossible in view of 22…Qg6+. 18. …Qc6 19.Nf3 a4 With a small advantage, Black went on to win from here. 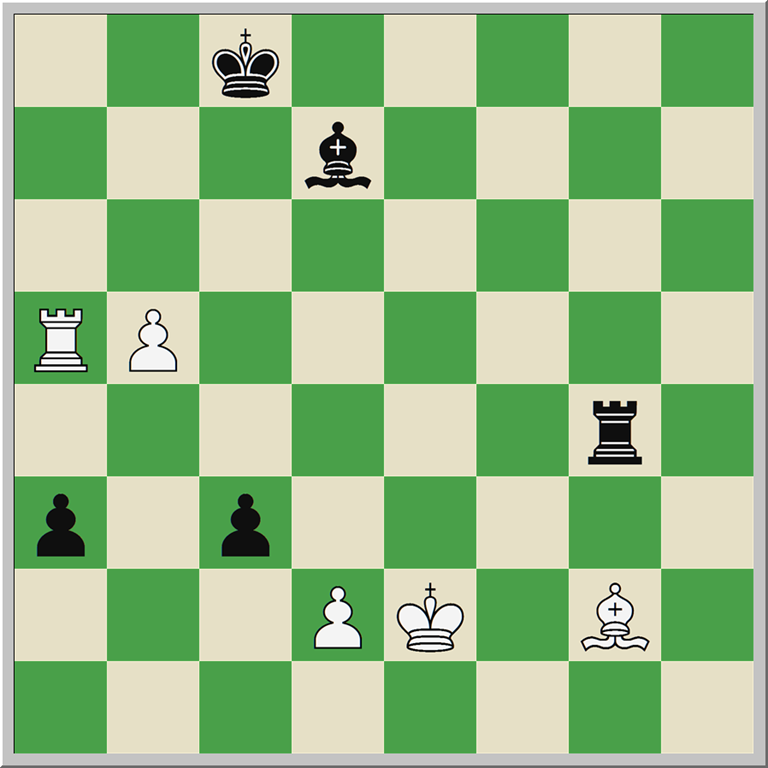 In this example, Black not only used his pieces but also his pawns to gain control over the light squares on the queenside. Part III (“Fundamentals of Chess Training”) is devoted to general training advice – how to study the opening, how to prepare for tournaments, how to understand the endgame, etc. – and what I would call Ramesh’s ‘philosophy of improvement.’ Many teachers warn their students not to worry about their ratings. Borrowing from the work of Mihaly Csikszentmihalyi and classical Indian philosophy, Ramesh persuasively argues that such worry has deleterious effects on our results and, more importantly, our enjoyment of the game. Parts I and II are very concrete in nature, offering readers dozens of examples to illustrate key teaching points. Part III is, in contrast, almost all text. There is a lot of interesting and inspirational material here, to be sure, and Ramesh’s trademark optimism is especially apparent in these pages. Still, the book feels somewhat disjointed, and Part III feels in some ways like an afterthought or appendix to the main part of the book. This is particularly true in Chapters 11 and 17, where Ramesh discusses the proper use of the computer in opening study. ChessBase is not an intuitive piece of software to use, and instruction should involve specific how-to’s and illustrative screenshots. Instead we get text-only renderings of database screens and opening trees. It’s an opportunity missed, and one that would have been very easy for the editors to fix. This entry was posted in Instructional, Middlegames and tagged Fundamental Chess: Logical Decision Making, Metropolitan Chess, Ramesh RB, RB Ramesh on June 5, 2018 by fullcityplus. This review has been printed in the May 2018 issue of Chess Life. A penultimate (and unedited) version of the review is reproduced here. Minor differences may exist between this and the printed version. My thanks to the good folks at Chess Life for allowing me to do so. Sakaev, Konstantin, and Konstantin Landa. 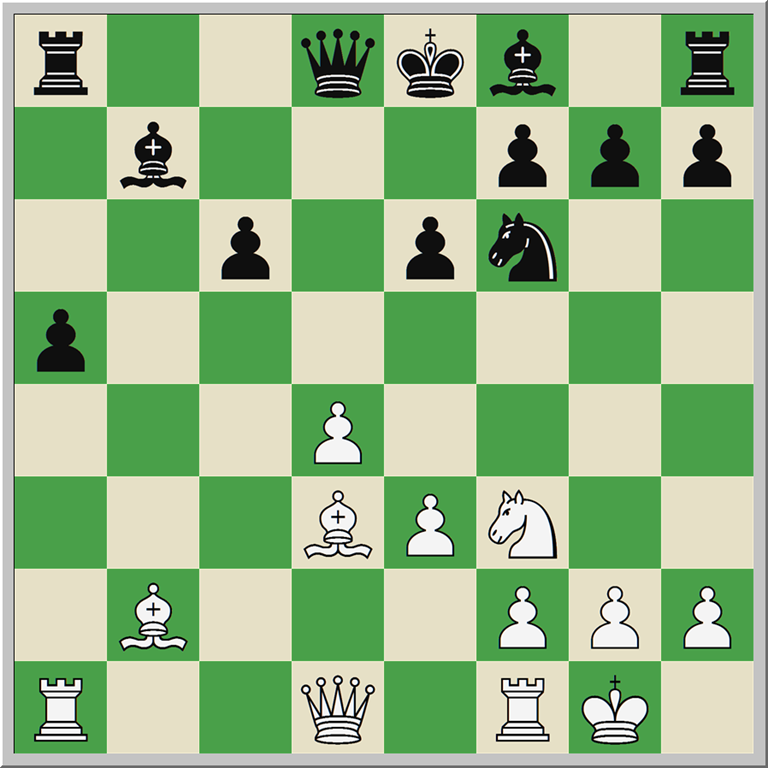 The Complete Manual of Positional Chess: The Russian Chess School 2.0 – Opening and Middlegame. Alkmaar: New in Chess, 2017. ISBN 978-9056916824. PB 368pp. Sakaev, Konstantin, and Konstantin Landa. 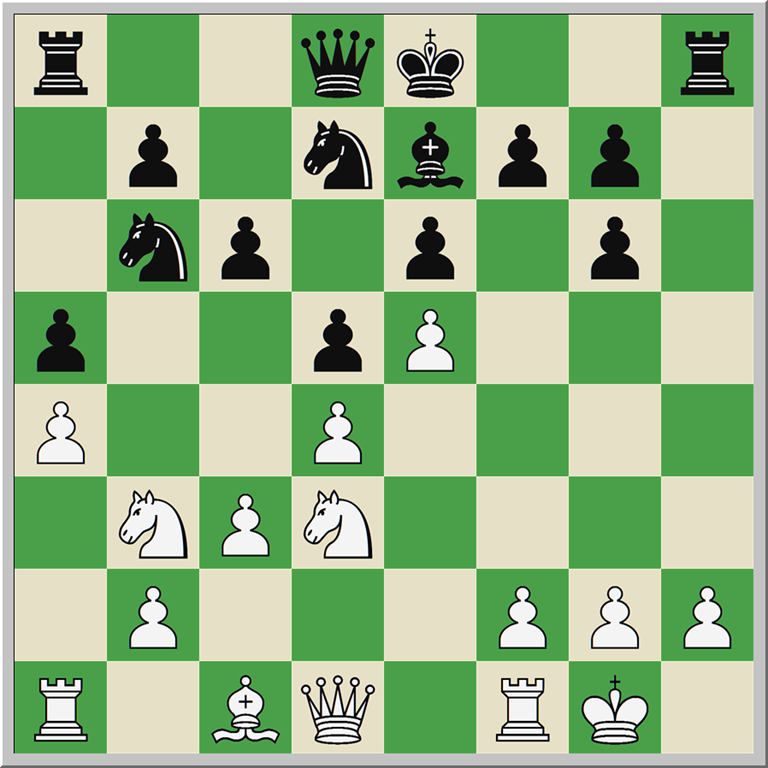 The Complete Manual of Positional Chess: The Russian Chess School 2.0 – Middlegame Structures and Dynamics. Alkmaar: New in Chess, 2017. ISBN 978-9056917425. PB 368pp. Shereshevsky, Mikhail. 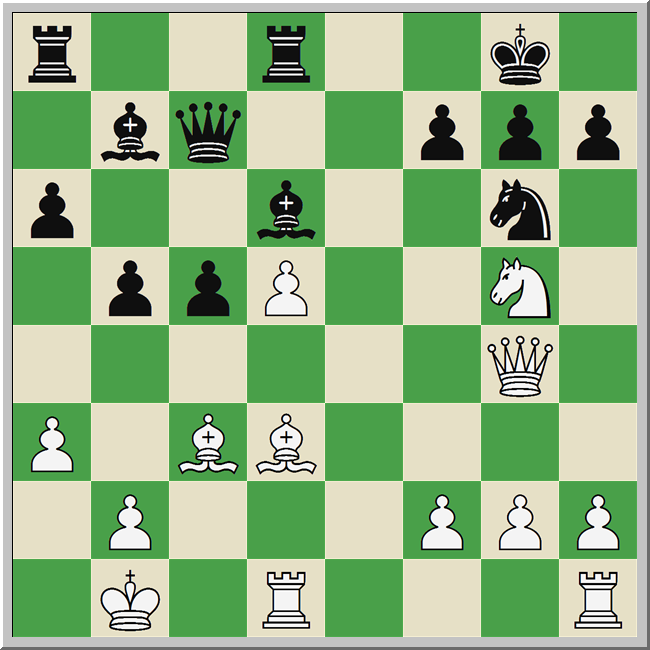 The Shereshevsky Method to Improve in Chess: From Club Player to Master. Alkmaar: New in Chess, 2018. ISBN 978-9056917647. PB 352pp. 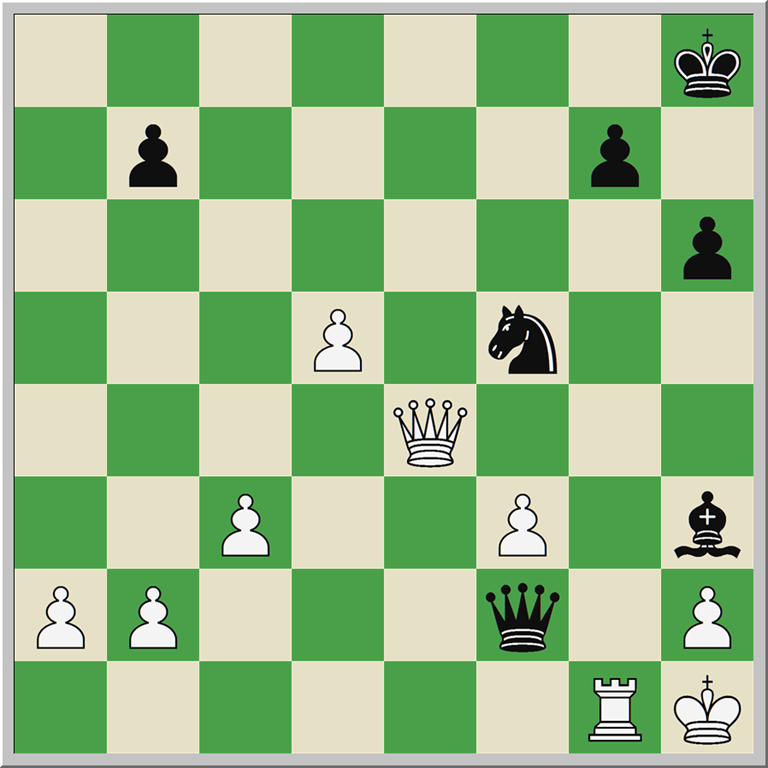 One of the many virtues of Andy Soltis’ Soviet Chess 1917-1991 is the concise manner in which it describes how Soviet chess suffered as the country fell. Leading players and promising talents left the USSR, spreading across the globe in search of opportunity. Many nations, including ours, were great beneficiaries of a sudden Soviet diaspora. From Kamsky to Kaidanov to the beloved “Uncle Yermo,” American chess was much enriched with this influx of talent. It seems to me, however, that it was the dispersion of the machinery of Soviet chess – the coaches, trainers, and infrastructure – that was of greatest consequence. Soltis quotes Evgeny Vasiukov as saying in 1997 that “…the structure is destroyed and I fear that we will have to give up our position” (Soviet Chess, 419), and we see some evidence of this if we look at the history of the Chess Olympiad. From 1952 through 2002, the Soviet Union / Russia failed to win gold at the Olympiad only twice: in 1976, when they boycotted the event’s being held in Israel, and in 1978, where Hungary shocked the world by taking the gold, leaving the Soviets with the indignity of the silver. In the years since 2002, four countries – Ukraine, Armenia, China, and the United States – have won gold, and Russia has had to reckon with its fall from Caïssa’s grace. The Russian Chess Federation (RCF) has taken concrete steps in this decade to restoring Russian chess to its former glory, increasing funding for chess schools and renovating the Central Chess Club in Moscow. The 2014 election of Russian billionaire Andrey Filatov to the RCF Presidency dramatically accelerated this process. Filatov, much like our own Rex Sinquefield, has contributed vast sums from his personal fortune to chess. Current RCF Director Mark Glukhovsky recently stated that more than half of the RCF budget comes directly from Filatov. With this funding the RCF has extended support to numerous constituencies, but none so important (on Glukhovsky’s telling) as children’s chess and the opening of the Chess Department at Sirius. The brainchild of Russian President Vladimir Putin, who remains chairman of its Board of Trustees, Sirius is a Sochi-based school for gifted children in academics, arts, and sports. The Chess Department is nominally headed by Vladimir Kramnik, but the day to day operations are led by a staff that includes GM Konstantin Sakaev and, more recently, IM Mikhail Shereshevsky. Russia’s most promising juniors attend training camps at Sirius throughout the year. One corollary to this educational initiative is the addition of a publishing arm to RCF activities, with Russian language books by Sakaev and Shereshevsky among the most prominent new titles in the “RCF Library.” New in Chess has translated three of these books into English, and this month we’ll take a look at them. Konstantin Sakaev is largely known in the West as an opening theorist, having seconded Kramnik and penned titles on the Grünfeld and Slav. 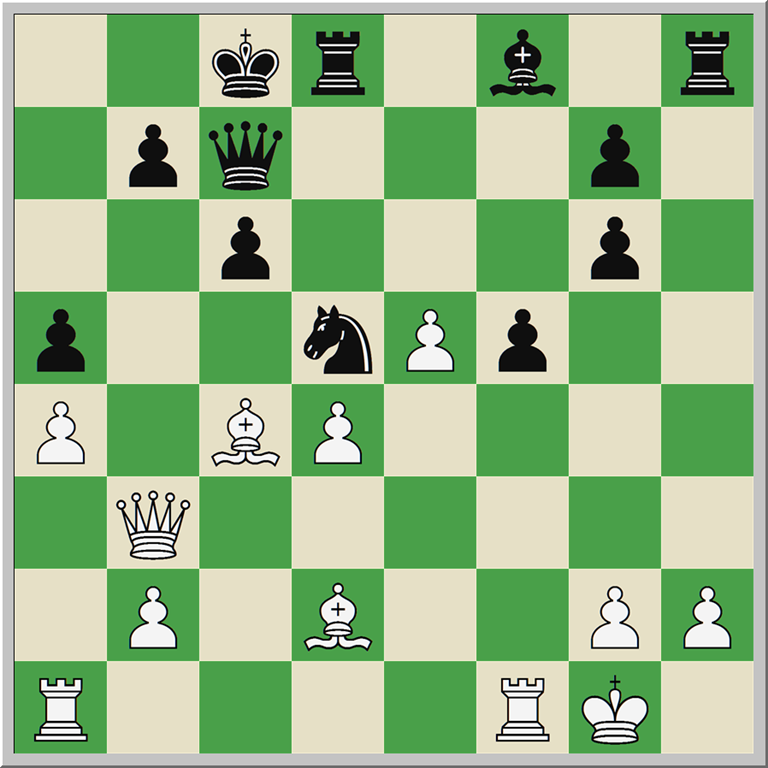 Here, in the two volumes of The Complete Manual of Positional Chess: The Russian Chess School 2.0, we discover Sakaev’s estimable chess knowledge and erudition. Mikhail Shereshevsky, to whom we will turn shortly, likens him to the famed Soviet player and coach Isaac Boleslavsky, only “armed with a modern computer.” This is high praise indeed, but on the basis of these books, it might be warranted. Co-written with GM Konstantin Landa, The Complete Manual of Positional Chess (hereafter CMPC) is an advanced training manual centered on the middlegame. 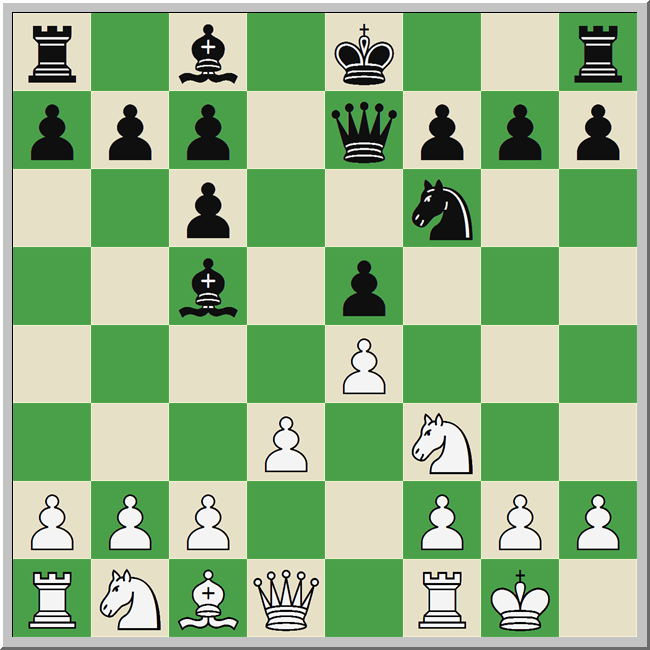 In the first volume, subtitled Opening and Middlegame, Sakaev and Landa offers a short section on typical opening problems and then take up topics related to thought processes and static features of positional play. Chapters on “[c]alculation of variations and methods of taking decisions” (#7) and “Prophylaxis, strengthening one’s own position” (#14) are of particular interest. The book consists of a series of positions for study and solving. Here’s a quick example from chapter 17, titled “[t]he problem of exchanges. Simplifying positions.” Note that on a scale of one to three stars, with one star denoting an “easily understood, simple example” and three stars denoting “especially complicated” cases, this problem is rated at two stars. It’s White to play. How should you proceed? 19.Bxd5! Rxd5 20.Qxd5 cxd5 21.Rac1 Black has to deal not only with a possible entry down the c-file, but also with the defense of the pawn a5 – this is impossible. The two volumes of The Complete Manual of Positional Chess are not easy reads by any stretch of the imagination. Sakaev and Landa say in their Introduction – common to both volumes, a terrific read for players of all strengths, and available as part of the pdf sample at the New in Chess website – that the target audience is the “first-category” or 2000+ player, and this seems accurate to me. But for those hardy self-learners who work through these excellent and demanding books, I can’t help but believe that their efforts will be richly rewarded. I had high hopes for the translation of Mikhail Shereshevsky’s The Shereshevsky Method to Improve in Chess. Shereshevsky is widely known as the author of Endgame Strategy, one of the finest books on the endgame in print, and his 1994 The Soviet Chess Conveyor is a cult classic among chess bibliophiles. Shereshevsky was largely forced out of chess in 1992 by the economic turmoil of the post-Communist era, and I was anxious to see his long-awaited return. This book, put simply, is not what I was hoping for. The Shereshevsky Method is deeply problematic from both structural and editorial perspectives, and as I will explain, I cannot recommend it to Chess Life readers. The Shereshevsky Method is a work in three parts. Part I is a selection of texts related to The Soviet Chess Conveyor. 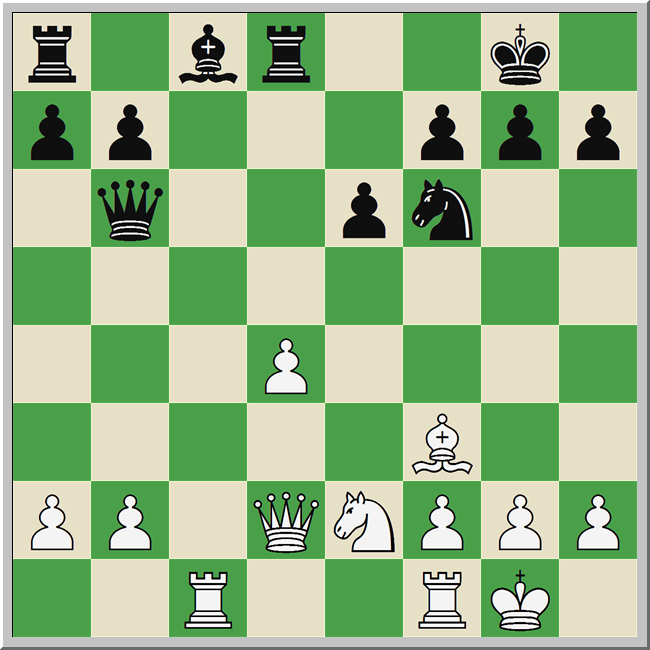 Part II is a condensed and updated version of Endgame Strategy. Part III, solicited explicitly by the RCF for use at the Sirius School, discusses chess books, calculation, chess intuition, and best training practices. Parts I and II are largely, but not wholly, unobjectionable. The second chapter, “Studying the Chess Classics,” is itself a classic of chess literature. Shereshevsky’s concern is to argue that improving players must study the great masters of the past to learn planning and train intuition. This is of particular relevance in the age of the computer – a recurring concern in the book – insofar knowledge of the classics helps mitigate the dangers of overreliance on the engine. Humans think in principles and concepts, not brute-force analysis, and knowledge gained from of the games of Alekhine, Capablanca, and Rubinstein shapes and guides what we calculate. The text of “Studying the Chess Classics” is based on a lecture given at Mark Dvoretsky’s school and published in Secrets of Chess Training: School of Future Champions 1. The updates to that lecture consist largely of quotations inserted into the text, some of which are shockingly long. Two and four page passages from Isaac Lipnitsky appear without warning, and while the practice is largely absent from Part II, it becomes endemic in Part III. Let me preface what I am about to say by making clear that I am not a lawyer. I have not seen the relevant publishing contracts, and I am not making any authoritative legal arguments. That said: having spent years in the academy, where I had to constantly worry about fair use and copyright law, I was astounded by what I found in The Shereshevsky Method. Russia, like the Netherlands and the United States, is a signatory to international copyright laws. Authors cannot take the work of other authors and use it for commercial purposes without the express permission of the copyright holders. Exemptions are carved out for educational or review purposes – what we call ‘fair use’ and what Russians call ‘free use’ – but this is limited to short passages, perhaps four to six lines of text. The borrowing of huge chunks of text – multiple pages at a time! – from other authors is brazen in The Shereshevsky Method, with Chapter 13 being a particularly egregious example. Shereshevsky begins the chapter with three lines that introduce a 300 word quote from John Nunn’s Secrets of Practical Chess. He then inserts about 150 of his own words before reprinting (244-250) six pages, well over two thousand words, of Nunn’s copyrighted text, and then wraps things up with a 100 word conclusion. The title of the chapter? “Laziness.” You couldn’t make it up if you tried. Nunn is not Shereshevsky’s only victim. Large passages are repeatedly taken from Beim, Dvoretsky, and Gelfand, among others, and to make matters worse, Shereshevsky fails to adequately cite the passages he takes. He even congratulates the RCF for their publication (337) of Boris Gelfand’s Positional Decision-Making in Chess, ignoring the fact that the book was written in English for Quality Chess and only appeared in the “RCF Library” by contractual agreement. There is more. Instead of referring to the original English language texts in these extensive quotations, and against standard practice, the translator re-translated the (already once-translated) Russian back into English. Nunn’s words are no longer Nunn’s words, but the product of a two-fold translatory transmogrification. I cannot for the life of me understand how this passed editorial muster. The Shereshevsky Method, particularly in its third and final Part, reads like a freshman’s plagiarized term paper. Most of the interesting material in Part III is taken from other authors, while Shereshevsky’s original contributions tend to devolve to banalities or gossip. I have never seen anything like it from a major publishing house, chess or otherwise, and I’m at a loss to understand how a publisher with a deservedly sterling reptuation like New in Chess let it come to print. This entry was posted in Instructional, training and tagged Complete Manual of Positional Chess, Konstantin Landa, Konstantin Sakaev, Mikhail Shereshevsky, Sakaev & Landa, Shereshevsky, The Shereshevsky Method on May 1, 2018 by fullcityplus.